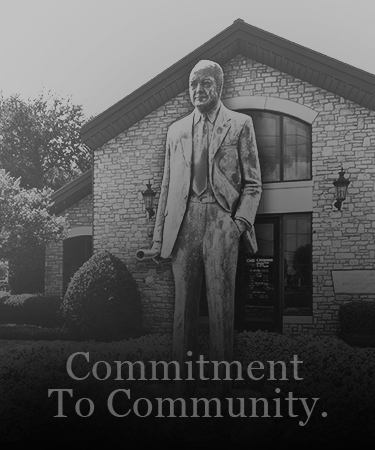 Citizens National Bank of Texas has been working for the citizens of Ellis County since 1868. We take the promise of community reinvestment very seriously; a declaration of giving back that has a 150-year track record. The M.E. Singleton Scholarship is just one of the examples of our commitment to education, youth, and the future of the area around us. CNB of Texas is a locally owned and operated, full-service, independent bank. Branches can be found in Waxahachie, Midlothian, Red Oak, Ennis, Italy, Burleson, Cedar Hill, Stephenville, and Weatherford. Both officers and staff take leadership roles to participate in projects such as Habitat for Humanity and Operation First Day of School. We at CNB of Texas believe you belong here. From Colonel M. E. Singleton and the generations of Singletons that have followed him, there has always been a strong commitment to community and educating its youth.